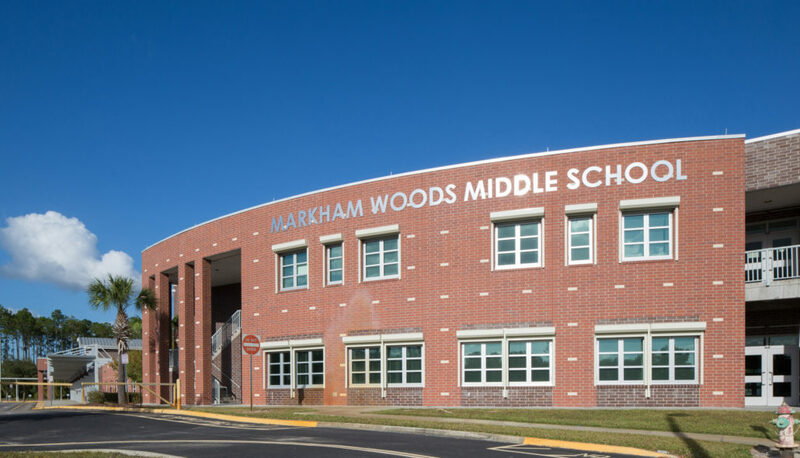 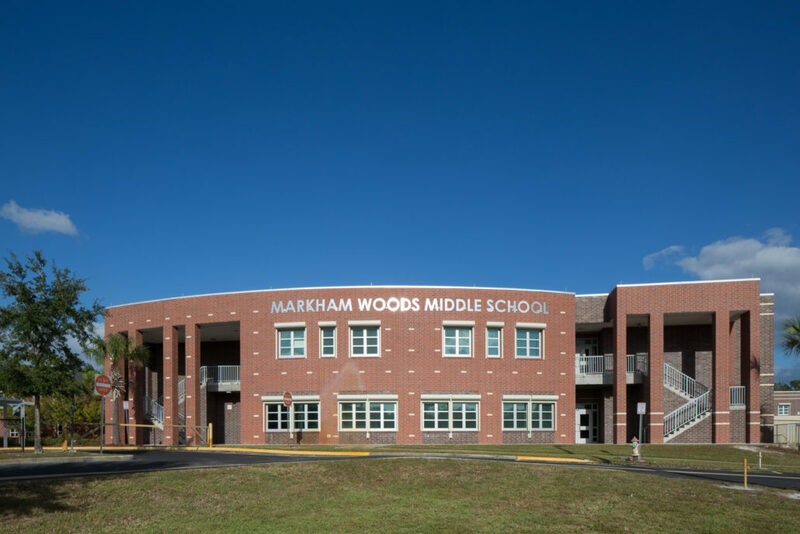 Markham Woods Middle School, located in Lake Mary, Florida, is a 121,875 square foot project built 2007 for Lake County Public Schools. 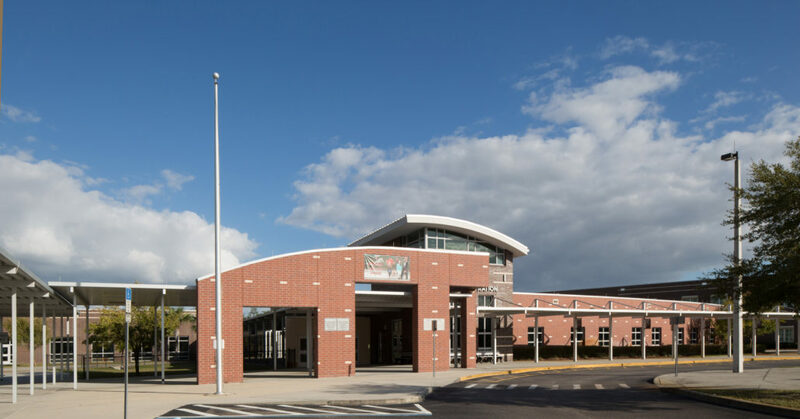 This project finished one month ahead of schedule without diminishing aesthetics, quality, or function of this facility. 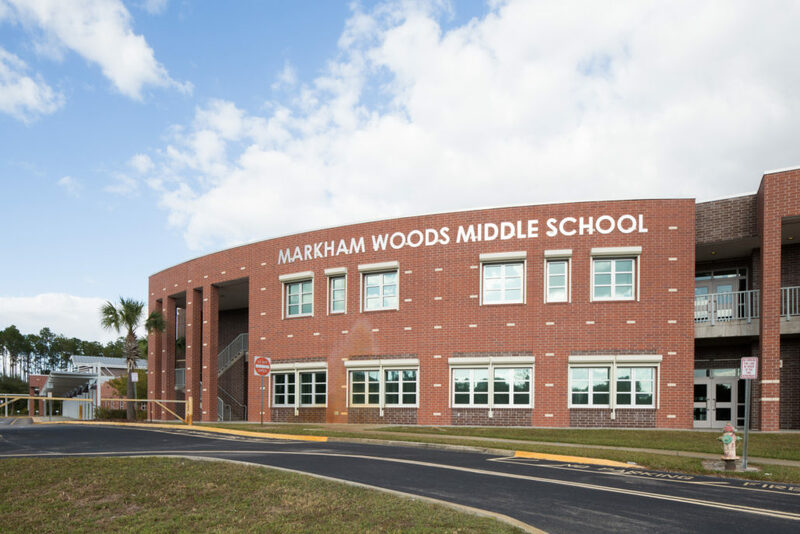 Mark Construction Co., together with Lake County Public Schools, Schenkelshultz, subcontractors and suppliers saved over $600,000.00 in the direct purchase program implemented by Mark Construction Co. 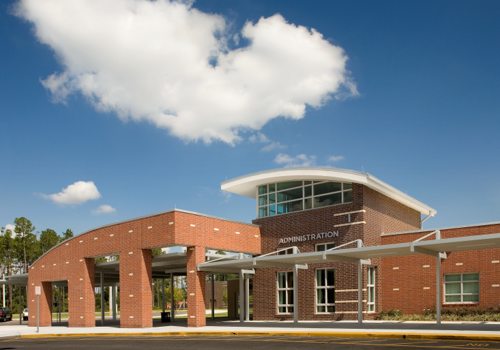 This school had 75 classroom/resource rooms and was designed to occupy 1400 students. 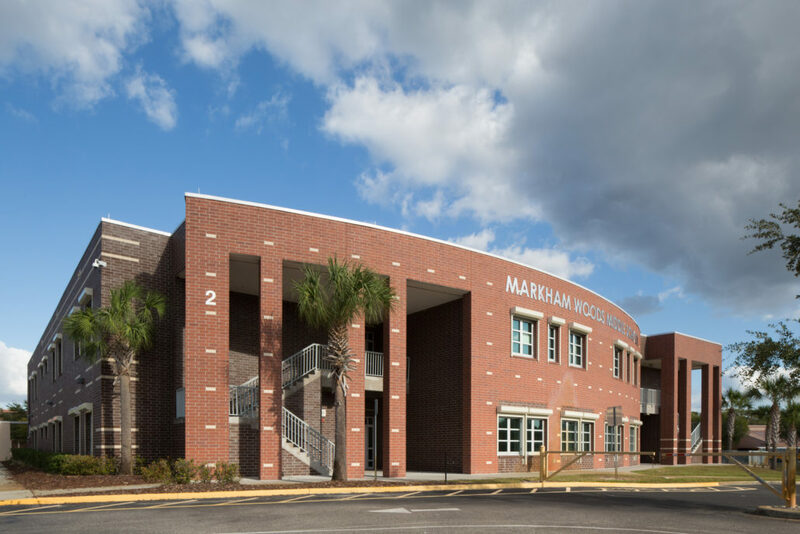 The structural shell of this building was constructed of slab on grade, composite concrete 2nd floor deck, radiused exterior walls of masonry and brick veneer, fibertite roof system over steel joist and metal deck.